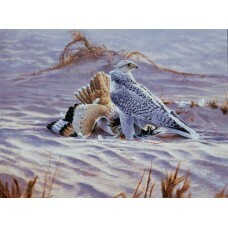 Birds of prey prints from Andrew Ellis. 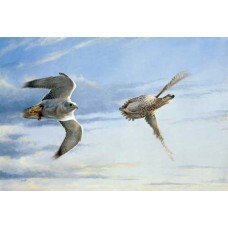 Beautifully painted falcons captured mid flight, resting or hunting. 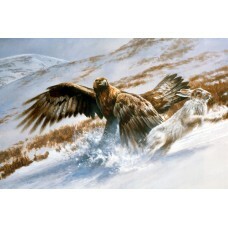 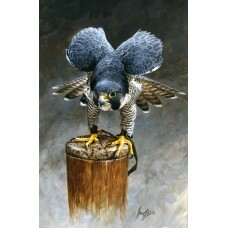 From the amazing spped of the Peregrine Falcon to the majesty of the Golden Eagle, Andrew's prints are a talking point when hung on any wall. 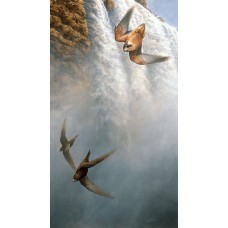 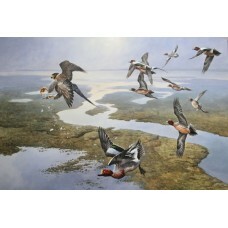 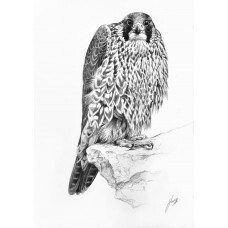 Passage Female Tundra Peregrine with Long Billed Curlew Signed Limited Editio..
Taita Falcon and European SwiftsCanvas edition 7051cm x 91.5 cm .. 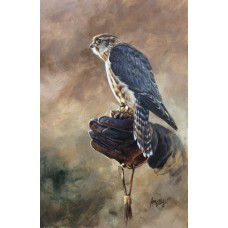 Signed paper edition of 100 Size 21 x 30 cm.. 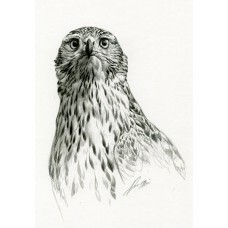 Signed paper edition 100 Size 21 x 30 cm .. 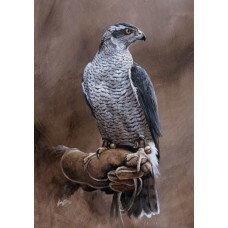 Adult Peregrine 'Warbling'Limited Edition Canvas Print of 70Size: 21 x 30cm..
Goshawk Sketch Limited Edition Signed Paper Print of 100 &nb.. 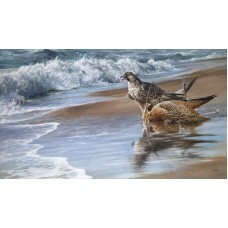 Signed Limited edition Paper print of 100.Size: 29 x 42cm.. 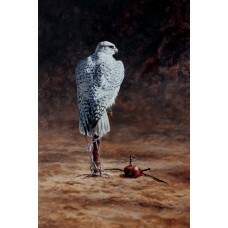 Signed Limited Edition Print on Paper of 100.Size: 29 x 42cm.. 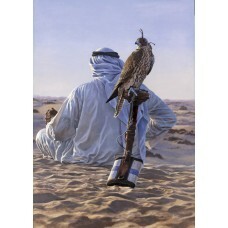 Peregrine and WigeonSigned canvas edition of 70Size: 56 x 76 cm ..
Arabic falconer sat in desert with Saker FalconSigned Limited edition Canvas Print of 50Size: .. 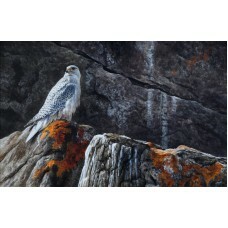 Signed canvas edition of 70 Size: 70 x 45 cm ..